Senator Ted Cruz is making huge waves as he just introduced an INGENIOUS bill suggesting the use of $14 billion seized from cartel drug lord Joaquin “El Chapo” Guzman for the the border wall between the U.S. and Mexico. Senator Cruz introduced the Ensuring Lawful Collection of Hidden Assets to Provide Order (EL CHAPO) Act on Tuesday. 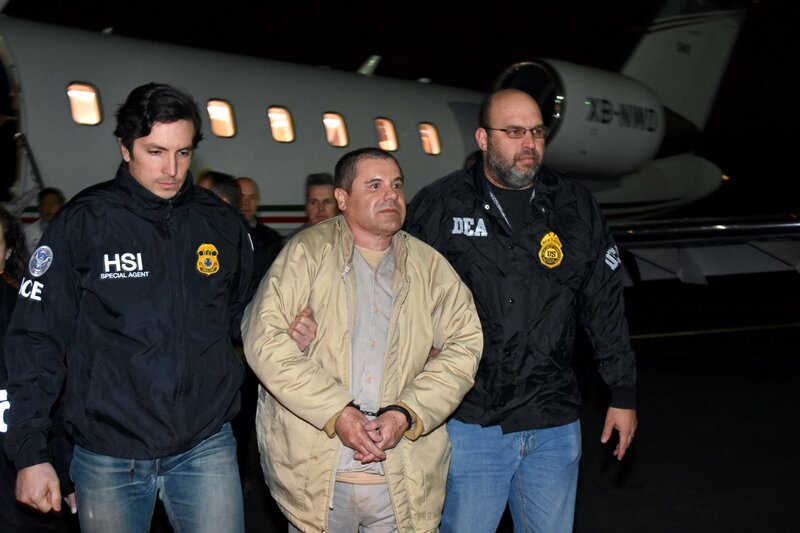 “The U.S. Government is currently seeking the criminal forfeiture of more than $14 billion in drug proceeds and illicit profits from El Chapo, the former leader of the Sinaloa drug cartel who was recently extradited to the U.S. to face criminal prosecution for numerous alleged drug-related crimes, including conspiracy to commit murder and money laundering,” Cruz stated. The Mexican government extradited the former Mexican drug kingpin back in January of this year. Sources also stated that the move to an American prison cell followed months of court battles in Mexico and multiple escapes from prison by Guzman. As part of the agreement with Mexico, Guzman will not face the death penalty in the U.S. for his crimes. Prosecutors have filed murder charges against the former drug lord in relation to the killings of a U.S. citizen and two relatives.